This is a check-in on where my goals are. Finish 4 sets of chair bags. I have cut out 2 sets of chair bags but have not started sewing yet. 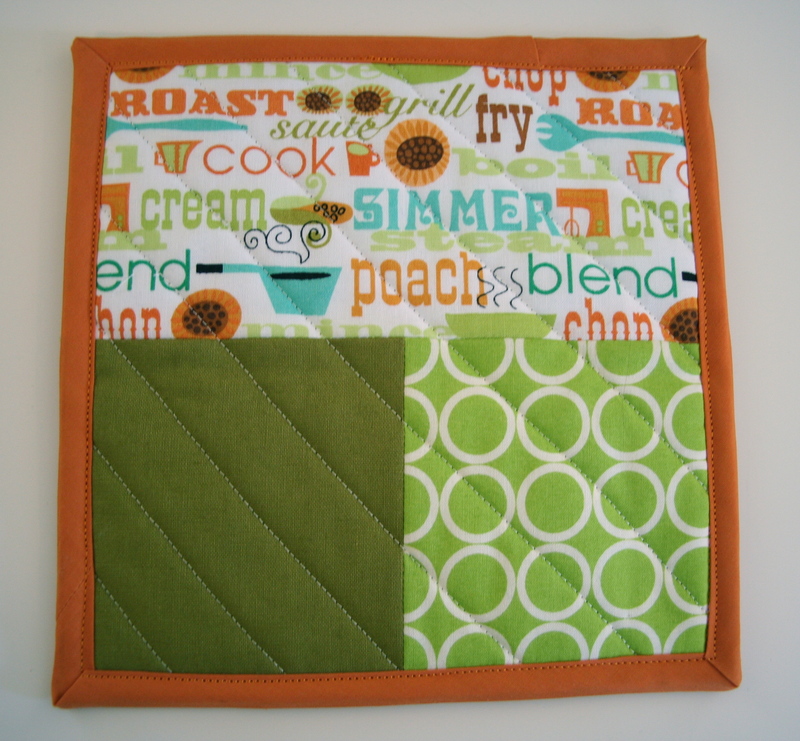 Finish 4 sets of pot holders. 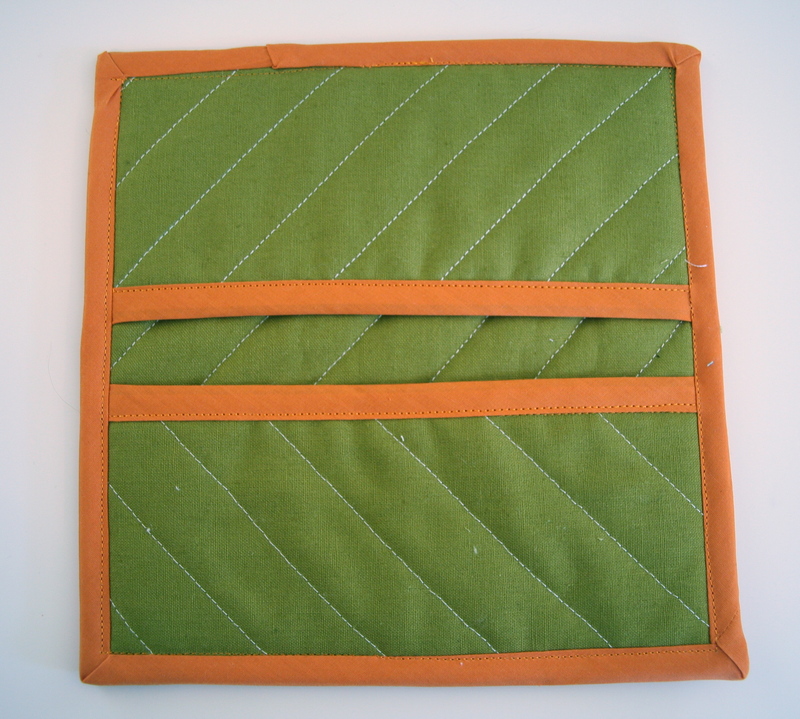 I have 3 sets of pot holders completed…our kitchen is a light green – these are the ones I made for use in our kitchen. Cut out fabric for my son’s quilt. Fabric and other materials selected. 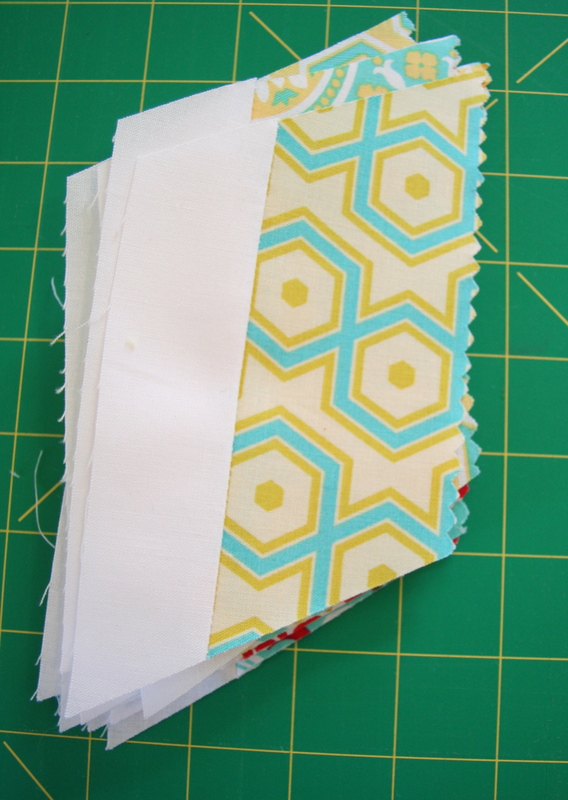 Try out a paper piecing block. Not started yet but I have something in mind. Continue with Life Style Challenge. Check – doing well. I also joined Pinterest, I was struggling with just using bookmarks to find things I liked in the www. Let me know if you have a site or which sites you would recommend I follow. Post a new recipe each week. 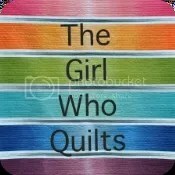 This entry was posted in Uncategorized and tagged crafts, diy, give away, goals, home, lovely year of finishes, patchwork, pinterest, pot holders, quilting, quilts, recipes, sewing, The girl who quilts on February 17, 2013 by mlwilkie. Congrats on being able to check off so many goals! 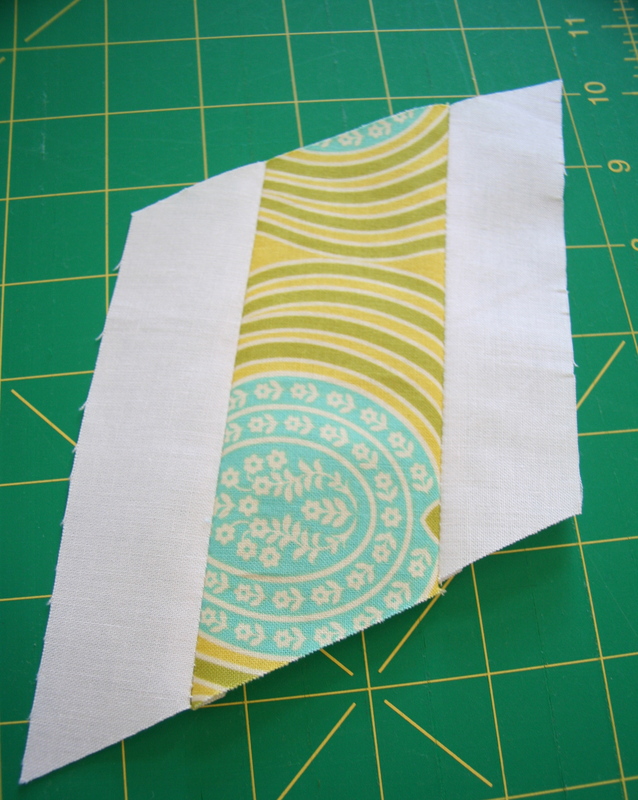 I looove Pinterest, especially for quilting-sewing-knitting. Red Pepper Quilts is a good one to follow, as are Jeni Baker and Sarah Fielke. Have fun! I love your goal list! I try to do this weekly, as I get too lost in monthly goals. Congrats on your progress!